So what do you do when swine flu rages in your house for SIX WEEKS, often leaving you housebound with feverish, coughing demanding children (and one spouse), eventually leading to bronchitis and pneumonia? I mean besides trying to hide Tylenol in Gatorade for the medicine-hating little people in the house. 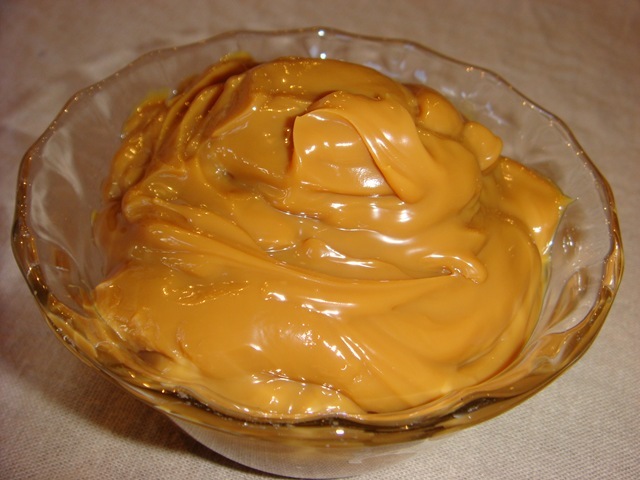 What else – experiment with Dulce de Leche! With hours of time on my hands, it seemed like the perfect opportunity to play with milk, sugar, vanilla beans and lots and lots of sweetened condensed milk. Eagle Brand sweet milk was on sale 2/$3, so I stocked up! I will admit to some embarrassment explaining to the check-out girl why I had 20 cans of sweet milk in my cart. Can’t people just mind their own business in the grocery store? The following post is not for the faint of heart, or risk-adverse home chef. We are talking about risking exploding cans, shattered jars, and possibly a little botulism thrown in for good measure. Not to mention the risk of covering your kitchen in oozing-sticky-wonderful-caramel heaven! 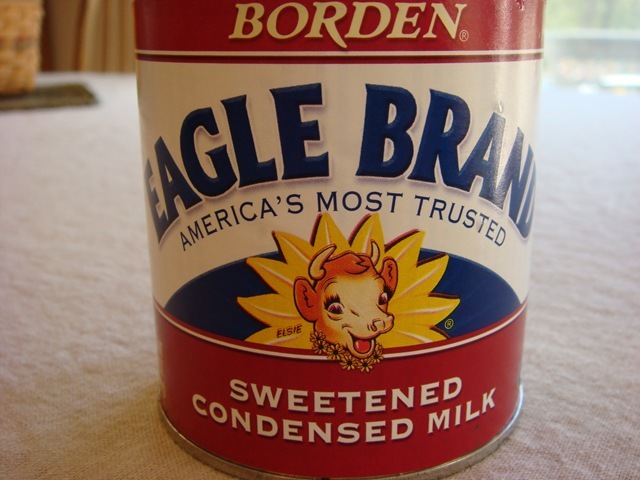 Or the temptation to sit and eat this stuff straight out the can. 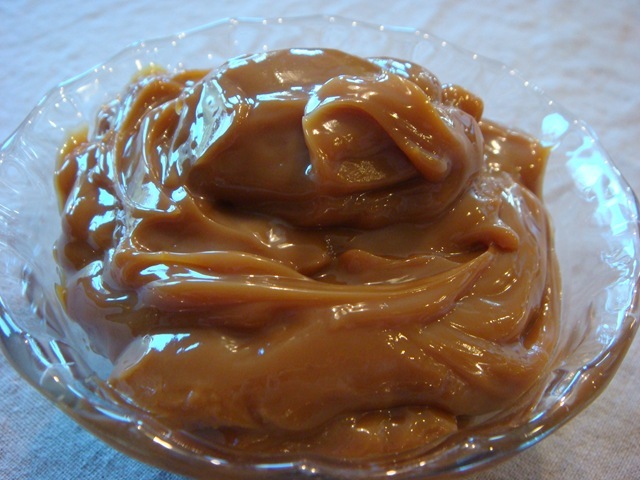 Dulce de Leche (pronounced Dool-say De Lechay) is a caramelized milk that originated in Latin America. Nestle sells it premade in a can, often found in the ethnic section of the grocery store (by the Latin foods). But, as I have found, it is very easy and much cheaper to make at home. I will show you how to make it SIX different ways, so there is something here for everyone, even those who are not willing to risk exploding cans. And for the true gourmet, who wouldn’t dream of starting with a can, there is even a homemade option (which really is to die for). This is “the can”. Who knew that such an innocuous looking can could have the potential for such greatness! So, on to the results. You might want to get up and make yourself a snack first; this is an exhaustive study of the process of turning milk and sugar into one of the most wonderful creations ever! Today I will share the first two (danger of exploding cans) methods. Besides the taste, what I love about these two methods is that you can make a lot at one time. And then the cans are shelf stable. 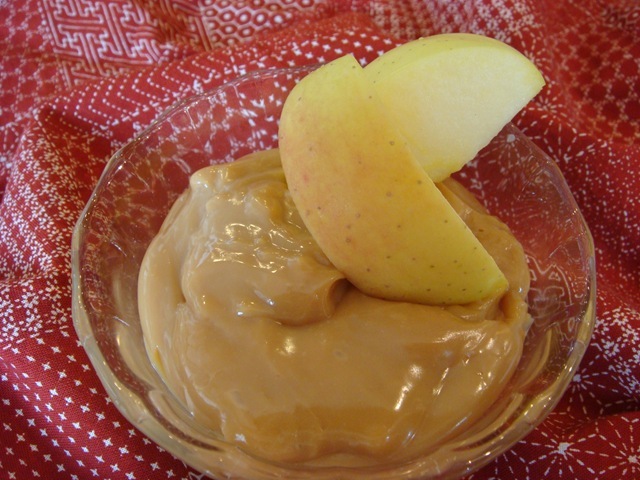 They sit waiting, patiently, for when you need a can for that perfect recipe (and you don’t have a few hours to whip up fresh dulce de leche) or when the apple on your lunch plate is just calling out for something to dip itself in. Stay tuned later this week for methods three – six. Start with a large stockpot. Place a rack in the bottom of the pot (mine has a steamer insert that I used). Many websites that give this method do not use a rack in the pot. The first time I made it without a rack, and the caramel in the bottom of my cans ended up slightly on the burned side. I did use a terrible thin pot, so if you have a nice thick one, this might not be a problem for you. 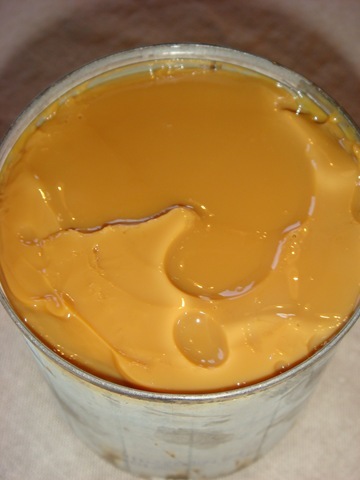 But the second time around, I used a rack and the caramel cooked evenly through the can. The rack also kept the cans from making terrible noise as the water came to a boil. As this is another “cooked in an unopened can” method, I will refer you to the disclaimer above. . . Now that I have not recommended that you use this method, let me tell you how much I loved this! It was easy. easy. easy. And delicious! Both of these methods produced a dulce de leche that was delicious! 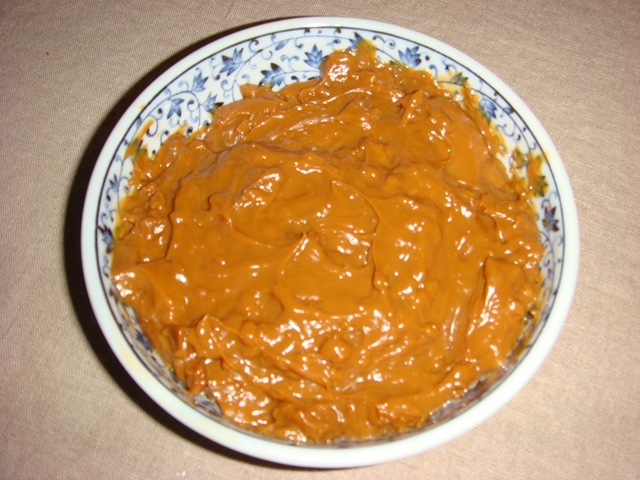 It was thick and rich and a wonderful caramel color. Of the two, cooking it in the crock pot was the easier method. Even though it takes a little longer, it was easier than worrying about maintaining water levels. 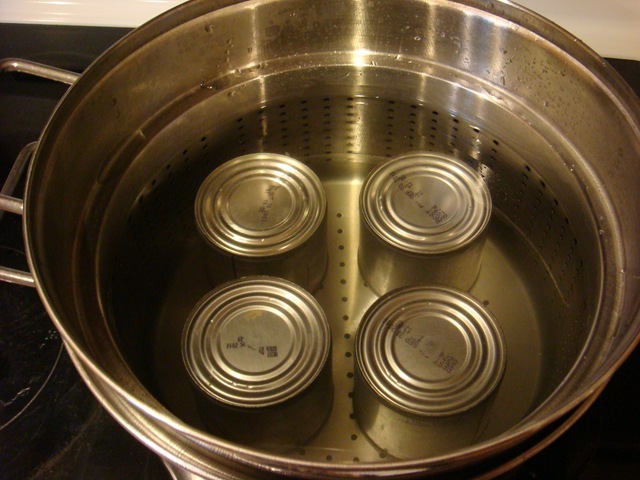 If you do choose to try one of these methods, just remember to keep cans completely covered with water and let the cooking water cool slightly before removing cans. This will help to reduce “temperature shocks” which could cause the cans to burst. I recently discovered the crockpot method and I was shocked how easy and successful it was!! The crockpot method has my vote!!! Hello! Just made some crock pot dulce but I transferred the milk to small, sanitized mason jars before cooking (I also added half a split vanilla bean and a pinch of cinnamon to each jar before cooking). They went twelve hours, came out of the water, and the seals on the mason jars popped shut. I appreciate your answer in advance, and even if I don’t hear back, live your blog. You definitely won’t get botulism if you keep it in the fridge. I wouldn’t feel safe keeping it at room temperature, however. Merry Christmas!